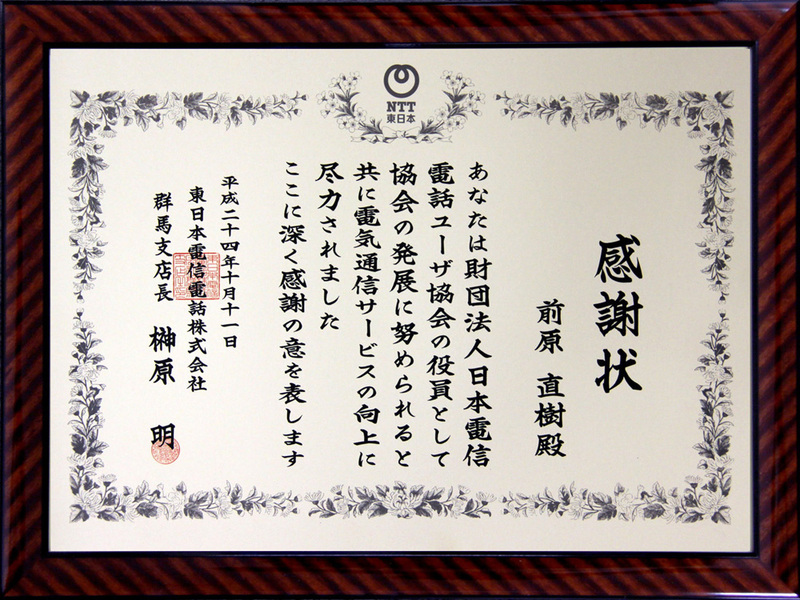 On October 11th, Mr. Naoki Maebara (corporate officer) received a certificate of gratitude from a branch manager at NTT East Corporation, Gunma branch. He was recognized to be an excellent board member of the Japan Telecom Users Association with his devotion, and also has improved the telecommunication service. We, at Ogura continue to be active and contribute our efforts to the industrial development.